wowza, I've been dying to show you my new bracelets! I'm sure you know how much I love anything novelty, so it's no surprise I'm a big fan of my latest additions. 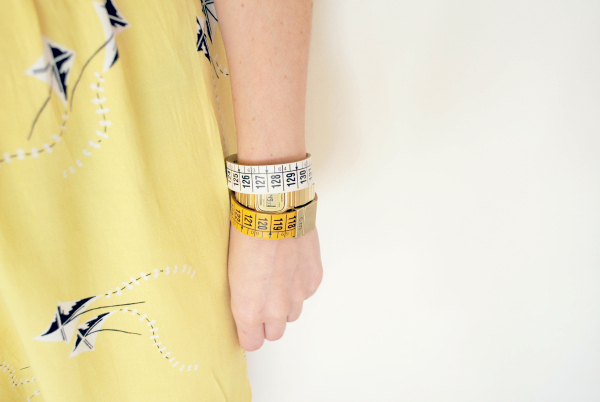 ilcentimetro have taken the iconic dressmakers tape measure and created potentially the most quirky accessory ever! the bracelets cuff's themselves are gorgeous; real leather and handcrafted in italy the quality is fantastic but more importantly they're just really darn cool. they come in a whole range of colours and sizes, I choose the classic yellow as I love the colour and arctic white as the perfect neutral for mixing with lots of outfits. I've worn them today with one of my favourite tea dresses, one I bought last summer but still a firm favourite and since the sun's out I may as well take advantage! if you want to check out these little gems for yourself you can see the whole collection here or pop on over to their facebook page! I absolutely love them! And I also really like your dress! You have the cutest dresses! 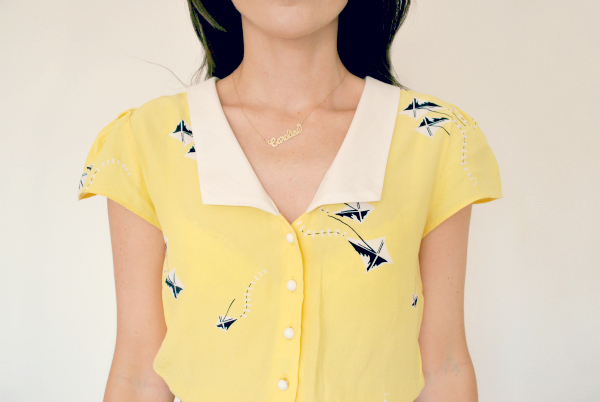 :) Such a retro outfit, I love! 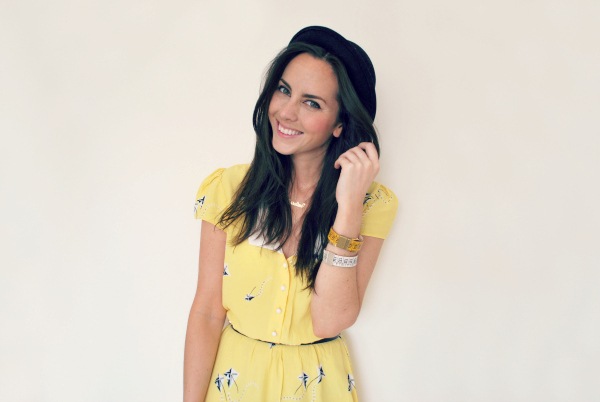 I love yellow dresses, perfect for summer! I love your whole outfit!! Especially the dress and the tape measure bracelets. 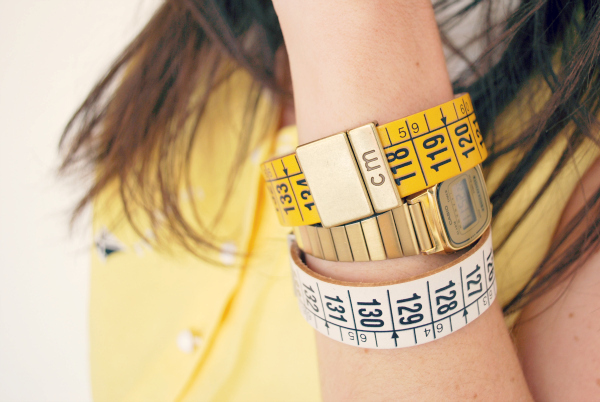 those tape measure bracelets are amazing! LOVING THEM! Gorgeous dress, the colour and style is perfect for summer. Yellow is my summer colors, loving those bracelets, dress, smile and hat. 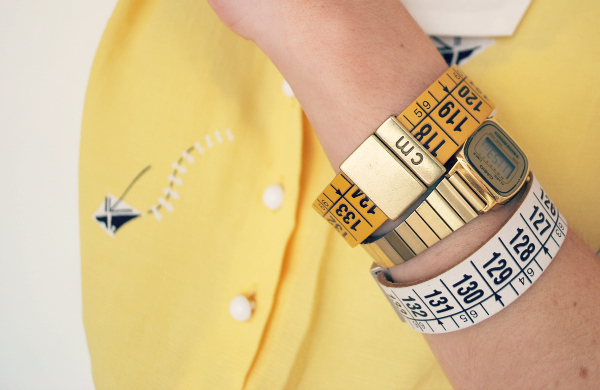 Wow those tape measure bracelets are so funky! !